This deceptively spacious three bedroom family home is ideally located for access to the centre of the town of Gretna and is within walking distance of Gretna Primary School, making 39 Victory Avenue a perfect family home. Lounge, Kitchen with Breakfast Bar, useful under stair Storage Cupboard and Bright Conservatory. Upstairs there are Three Bedrooms (one with a walk in wardrobe) and Bathroom. This lovely family home should be viewed to be appreciated! Coving, ceiling light, smoke alarm. Radiator, laminate flooring. Window to front with curtain pole, curtains and blinds. One x three spotlights, telephone point, TV point. Gas living flame fire with surround and hearth. Radiator, carpeted flooring. Two windows to rear with blinds. Panelled ceiling. Coving, one x four spotlights, breakfast bar. Range of wall and base cabinets, electric cooker and cooker hood extractor fan. Sink and drainer with mixer tap, plumbing for washing machine, tiled splashback. Radiator, vinyl flooring. Double glazed with blinds. One x two wall lights. Radiator, tiled flooring. French doors to rear garden. Window to rear with blinds. Loft access, two ceiling lights, smoke alarm. Storage cupboard housing central heating boiler. Balustrade. Radiator, carpeted flooring. Window to front with curtain pole, curtains and blinds. Coving, ceiling light, dado rail. Walk in wardrobe with shelving and hanging rail. Telephone point. Radiator, laminate flooring. Window to rear with curtain pole, curtains and blinds. Coving, ceiling light, radiator, carpeted flooring. Opaque window to rear. Panelled ceiling, partially tiled walls. Recessed lighting, three piece suite comprising of toilet, wash hand basin and bath with over head electric shower. Radiator, vinyl flooring. On street parking. Low maintenance chipped garden to front. Large enclosed rear garden with access for taking out bin etc at rear. Lawn and patio areas with wood chipped section and mature planting. Offers in the region of £100,000 are invited and should be submitted to lj Residential, 93 High Street, Annan, DG12 6DJ or by fax to: 01461 205037. 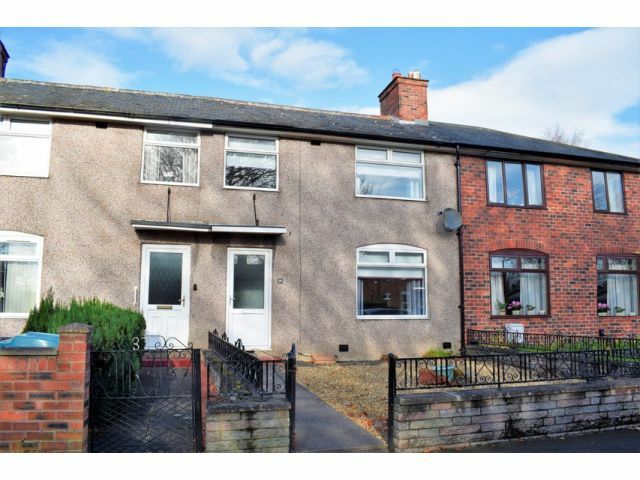 NOW £20,000 UNDER HOME REPORT VALUE!